This dip is a major flavor punch to the mouth! If you are looking for a dip with zero bad for you ingredients but major flavor, then this is for you! 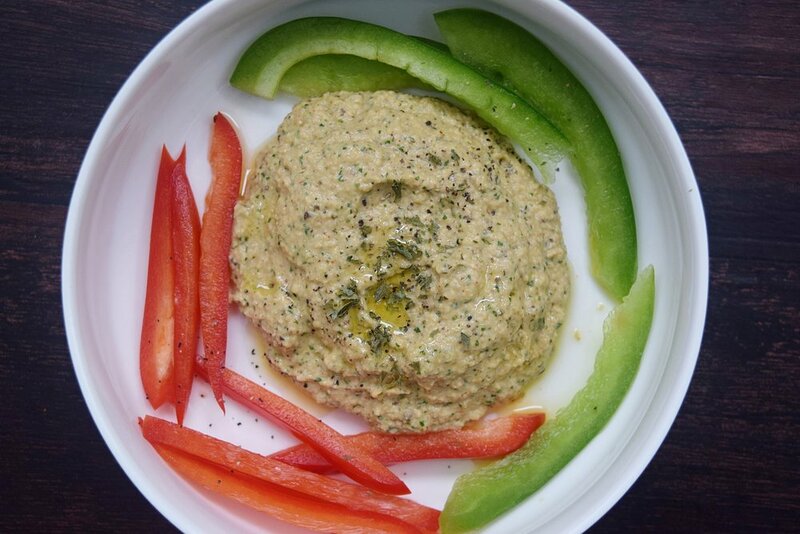 Baba ghanoush is a Middle Eastern spreadable dip that is eaten with pita bread, veggies, or even used as a sandwich spread! It's base is roasted eggplant that is dressed up with warm spices, zippy lemon and creamy tahini. Tahini is a sesame seed paste that you will find in the condiments and sauces section. This recipe is strong on the garlic and spicy smoked paprika, so if you aren't a fan of those flavors, reduce the amount to your taste!! Preheat oven to 400 degrees. Cut eggplant in half lengthwise and place on a baking sheet lined with aluminum foil. Roast for 25 minutes until soft. Remove and let cool. Meanwhile in a food processor, add all other ingredients. Pulse a few times to combine. Using a fork, scrap eggplant flesh away from skins and discard the skin. Add eggplant to food processor and blend until smooth. Add salt and pepper to taste. Store in your fridge.